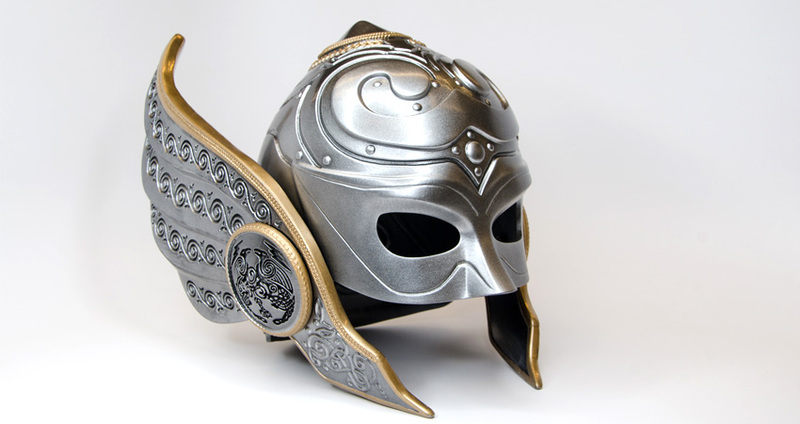 Jane Foster’s helmet from Marvel’s Thor comic book, designed and printed by LaGuardia Studio employee Dhemerae Ford. The powers of Marvel Comics character Jane Foster were on full display at this year’s Additive Manufacturing Users Group (AMUG) Conference. 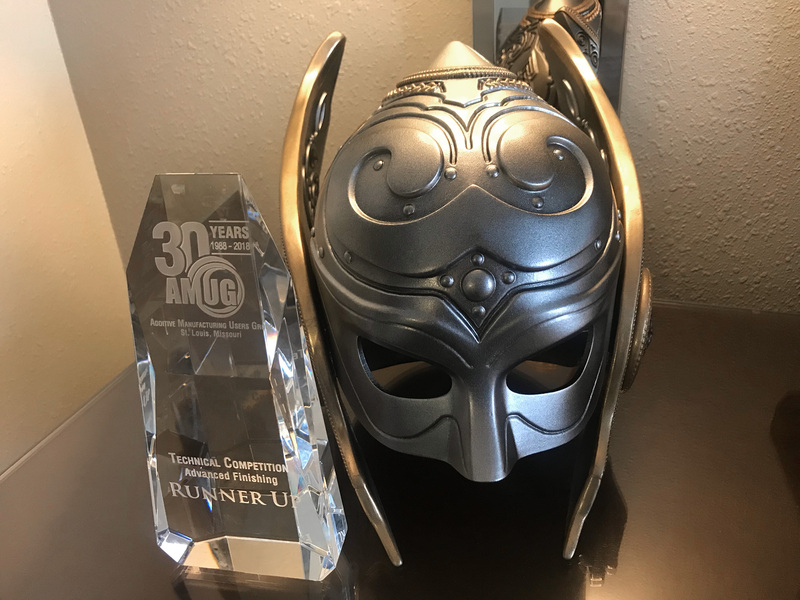 Inspired by the fictional character’s signature armor, Dhemerae Ford, an Advanced Media Specialist at the LaGuardia Studio, presented a 3D printed prototype of Jane Foster’s helmet at the 2018 AMUG Technical Competition in St. Louis, Missouri. The helmet, which showcased details from the character’s costume and symbols found in Norse mythology, won 2nd place in the competition’s Advanced Finished category. Ford explains the process and materials she used to bring the prototype to life. “The helmet I created for the competition mirrors the helmet Jane Foster wore in her recent appearance in the Thor comics books. I designed it in ZBrush based on a 3D scan of my head and printed the helmet using the LaGuardia Studio’s ProJet 7000 SLA resin 3D printer.” To finish the helmet, Ford then sanded, primed, and painted the helmet’s components using a 3-part chrome spray product. 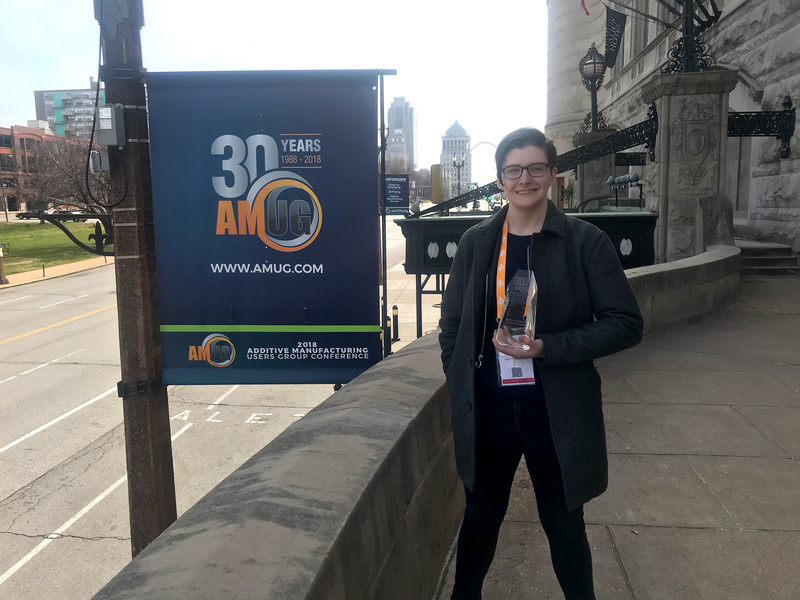 Dhemerae Ford at the AMUGS Conference, displaying her award. The AMUG Technical Competition is an annual competition that gives additive manufacturing enthusiasts from around the world the opportunity to display their unique application and finishing skills using cutting-edge 3D scanning and printing technologies. For more information about the competition and to view winning projects, visit the AMUG website.